Posted by Captain Drew in Minstrels, Music, PiratePalooza Pubcrawl. Comments Off on Half Pint at PiratePalooza! 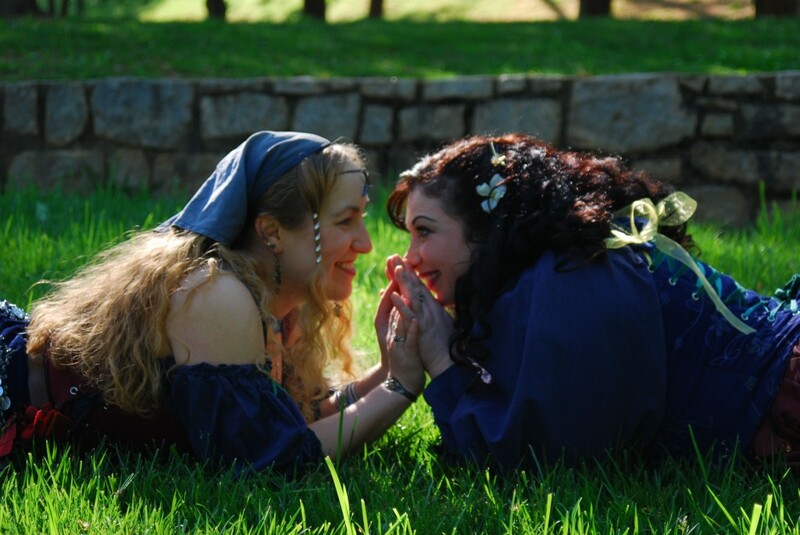 Ariana Pellayle and Rosemary Quench (better known as Becky Cormier Finch and Rivka Levin Carroll) first met at the Georgia Renaissance Festival in the Spring of 1996, and five years later they began singing together. Their first collaboration was in a band called Stone Soup, which played at the Georgia festival’s stage at the Brewer’s Pub. When Stone Soup disbanded they connected with guitarist and songwriter extraordinaire, Dolph Amick (aka ‘Wicked Pete Speakeasy’), to form Three Quarter Ale. On those occasions when Dolph is unable to join the ladies, Three Quarter Ale is “drained by a third”, thereby becoming Half Pint! When asked to name a favorite song from their repertoire it was a bit of a toss-up. The ladies first heard Mingulay Boat Song performed by Susan Hickey Csikos at the Georgia Renaissance Festival. When Susan departed the Georgia faire, the song became available and so they syncopated the rhythm a bit to make it their own and it has since become one of their fans’ favorites. The ladies also love The Shape of Things, an old Kingston Trio folk song to which they bestowed a full-on, melodramatic opera treatment, creating a version that is uniquely their own…and which amuses their audiences with unexpected punch lines. Half Pint always get a laugh when they sing the song, and they enjoy getting to show off their Musical Theater training! 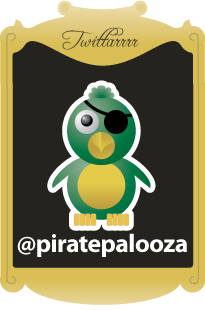 Three Quarter Ale / Half Pint have appeared at PiratePalooza™ in some incarnation since its inception (a conception ending in a big reception??)! Between attending the Ren Fest since childhood and sharing a passionate love for the folk duo Indigo Girls, it’s fair to say that folk music (and its progenitor, Celtic music) is in their blood. Rivka is still listening to Celtic music (with a special fondness for Old Blind Dogs and Battlefield Band), and Becky is stuck in the 1980s… Duran Duran is a perennial favorite. Three Quarter Ale is still going strong, and fans can hear a full evening of old favorites and a few new tunes at Shenanigans Irish Pub in Dahlonega on October 3rd, 2015! (They also have a handful of smaller gigs coming up — check out their website below for details!) Becky and Rivka can also regularly be seen in performance at the Shakespeare Tavern (next up together in A Christmas Carol — frankly, the best version in town. Seriously, book your tickets NOW, because this show sells out long before Thanksgiving). Visit www.threequarterale.com and LIKE them on Facebook!